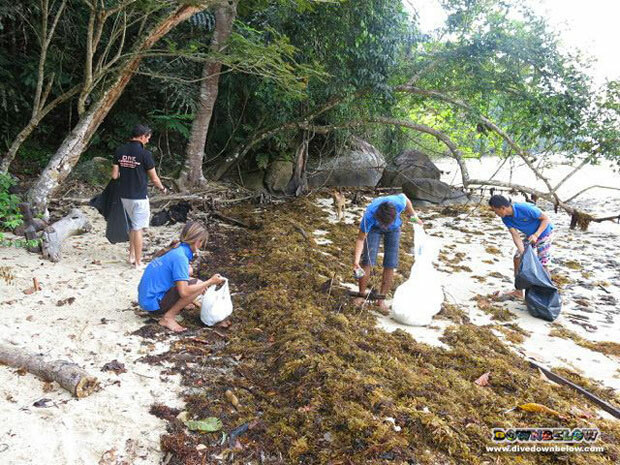 The Downbelow crew are still going strong with our daily morning cleanups but sadly we no longer have the assistance of our Danish adventurers as they have completed their dive courses so it is down to the Downbelow team to continue the good cause. We are happy to say that great progress has been made with many kilogrammes of trash removed from the island so far. Please support us by reducing your plastic usage & wastage, if it is not used it will not need to be disposed of, if you buy just a few items in a shop you are given a plastic bag, tell the shop that you don’t need it and suggest that they do not hand out bags for small items, encourage your local stores to sell recyclable bags.